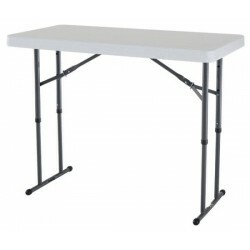 Select from our huge inventory of tables including banquet tables, picnic tables, conference tables, adjustable height, round and square folding tables. Free Shipping on all orders! The 30 x 20 in. 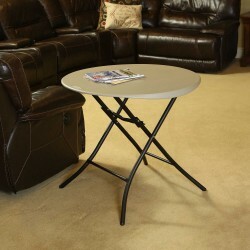 Adjustable Height Table from Lifetime Products is the perfect TV snack table, homework table, or patio side table. 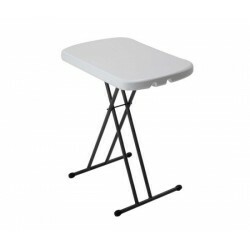 Designed with four different height settings from 21 - 28 inches to serve a variety of purposes. Available in individual box or 40 Pack.FREE Fast Shipping! 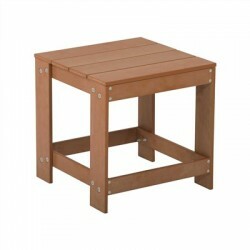 Lifetime Children's Square Folding Table - Features a 24" x 24" molded tabletop (almond) with a round folding frame (bronze). Individually packaged with a 1-year limited warranty.FREE Fast Shipping! 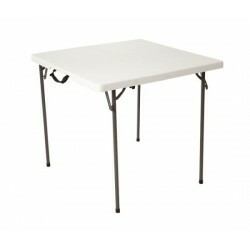 Lifetime Commercial Children's Square Folding Table - Features a 29" x 29" molded tabletop (white granite) with a round folding frame (gray). Comes individually boxed with a 10-year limited warranty.FREE Fast Shipping! Lifetime 4-Foot Commercial Adjustable Folding Table - Features a 48" x 24" molded tabletop (almond) with a round folding frame (bronze). 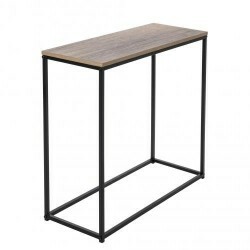 This table has three adjustable height settings (24", 29", and 34") that can be adjusted with one hand, and comes with a 10-year limited warranty.FREE Fast Shipping! 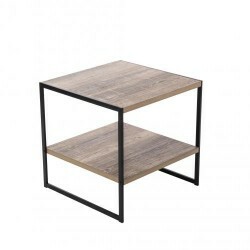 Style and proportions that complement most furnishings, the Tribeca Collection from Avalon Home: sparely-weighted steel-framed designs provide a minimal look and maintain an unfettered flow to your living spaces.FREE Fast Shipping! Lightweight and easy to assemble. The Tribeca Collection from Avalon Home: sparely-weighted steel-framed designs provide a minimal look and maintain an unfettered flow to your living spaces. FREE Fast Shipping! 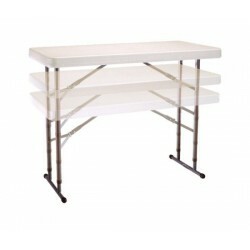 Lifetime 4-Foot Commercial Folding Tables are constructed of high-density polyethylene and are stronger, lighter and more durable than wood tables. FREE Fast Shipping! 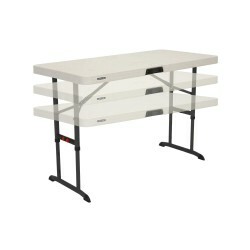 This 34" square card table from Lifetime Products folds right in half for compact storage! 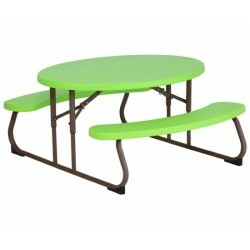 Constructed from high-density polyethylene plastic with a steel frame for lighweight durability and low maintenance. Weather protected for outdoor as well as indoor use. 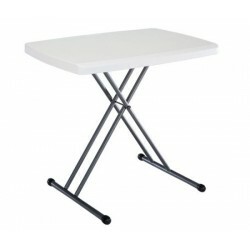 This folding table also has a built-in carrying handle for easy transportation.FREE Fast Shipping! 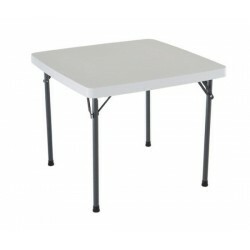 The folding 37 inch card table from Lifetime Products is constructed from durable polyethylene plastic with a steel frame. 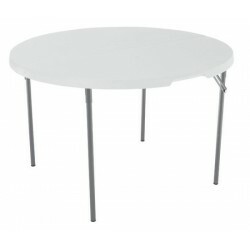 Stain resistant, easy-to-clean tabletop for low maintenance. 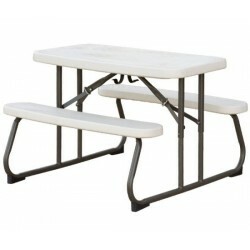 Comes in handy for those special occasions when you need extra table space or seating accommodations. Available in a Single Pack or 24 Pack.FREE Fast Shipping! 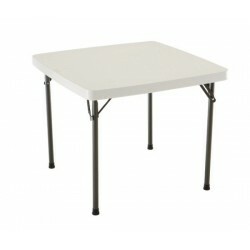 Lifetime Products has come up with a new and improved design on the classic folding card table. 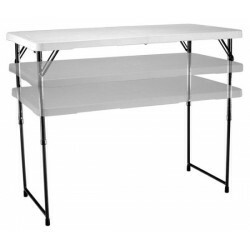 You'll appreciate the stain-resistant high-density plastic tabletop and sturdy steel frame with reinforced joints to prevent wobbling.FREE Fast Shipping! Lifetime Adirondack Chair - Constructed of UV-protected polystyrene simulated wood, the Adirondack Table is compact and weather resistant. FREE Fast Shipping! The folding kids picnic table from Lifetime Products allows little feet to touch the ground and prevents falling accidents. 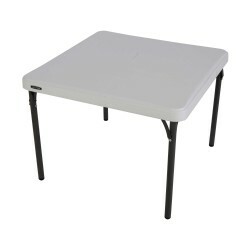 Durable design, portability, and low-maintenance plastic tabletop makes it the perfect table for backyards and daycare centers.FREE Fast Shipping! The oval folding kids picnic table from Lifetime Products allows little feet to touch the ground and prevents falling accidents. 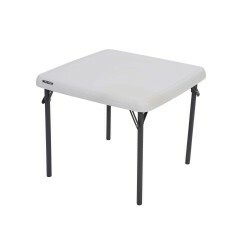 Durable design, portability, and low-maintenance plastic tabletop makes it the perfect table for backyards and daycare centers.FREE Fast Shipping! 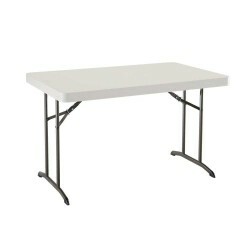 Get a full-length 6 ft. table with a fold-in-half design that requires only 3 ft of storage space! 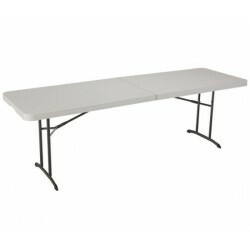 The 6 ft fold-in-half heavy-duty banquet table is constructed with a high-density plastic tabletop and a steel frame for superior durability and low maintenance. Designed with convenient carrying handle.FREE Fast Shipping! 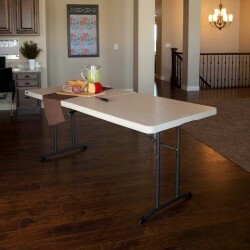 With this 8ft fold-in-half plastic table, you get the generous surface of an 8ft table using the storage space of a 4ft table!FREE Fast Shipping!